And he really wants you to watch it. 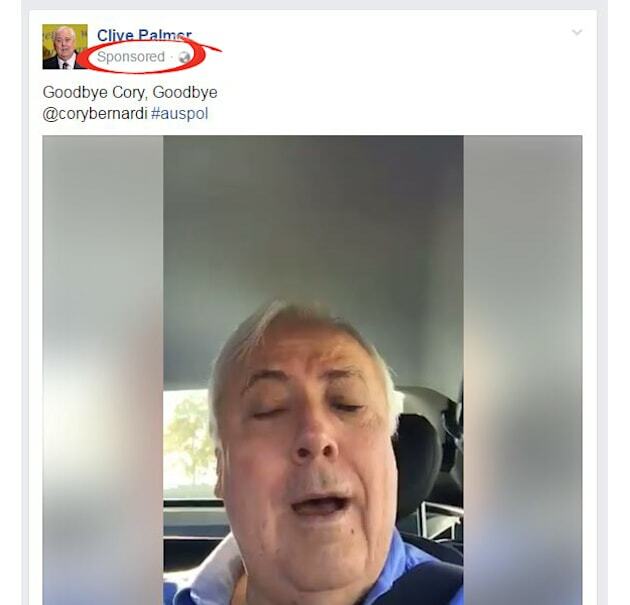 Former politician Clive Palmer has bid Cory Bernardi farewell (well, from the Liberal Party), as the South Australian senator confirmed he will join the crossbench as an independent senator while setting up the "Australian Conservatives" party. As senior government ministers label Bernardi's move a "betrayal" Palmer posted his apparent stream of consciousness on Twitter, poking jokes at the prime minister following Bernardi's resignation phone call. The tweets were followed by a bizarre video Palmer posted to both Twitter and Facebook. And it appears he really wants you to watch it, as the post was 'sponsored' on Facebook (meaning, yes, he paid for it to reach more people's Facebook feeds).